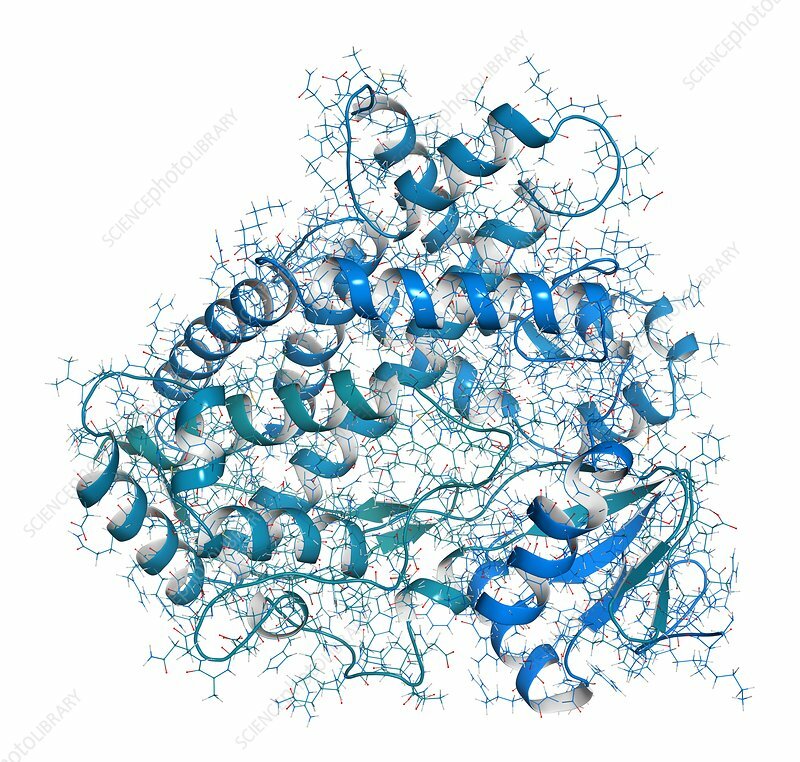 Cytochrome P450 (CYP2D6) liver enzyme, in complex with the alkaloid quinine. Combined wireframe and cartoon model. Cartoon and carbon atoms: backbone gradient colouring (blue-teal); other atoms: conventional colour coding.